Here we are again to surprise you with the pallet projects that has been made on a special request of a customer! 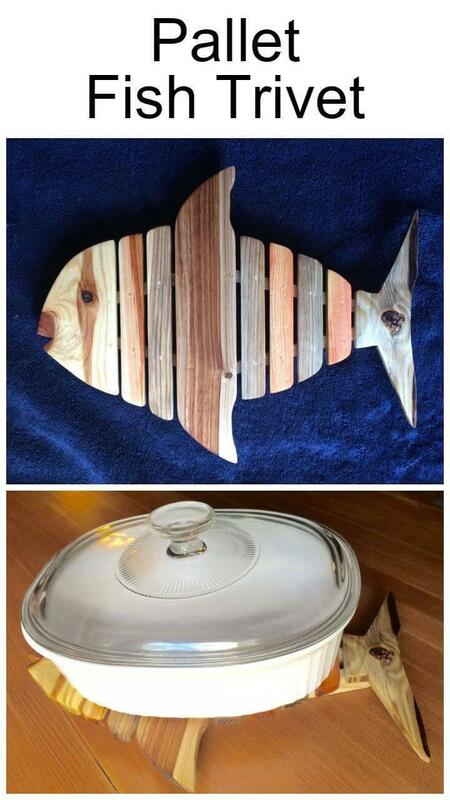 By using the pallet wood only, this DIY pallet fish trivet has been designed for a coworker, will help in safe landing of cooking pots and will not let the kitchen surfaces burnt if user just places his hot pots over it! 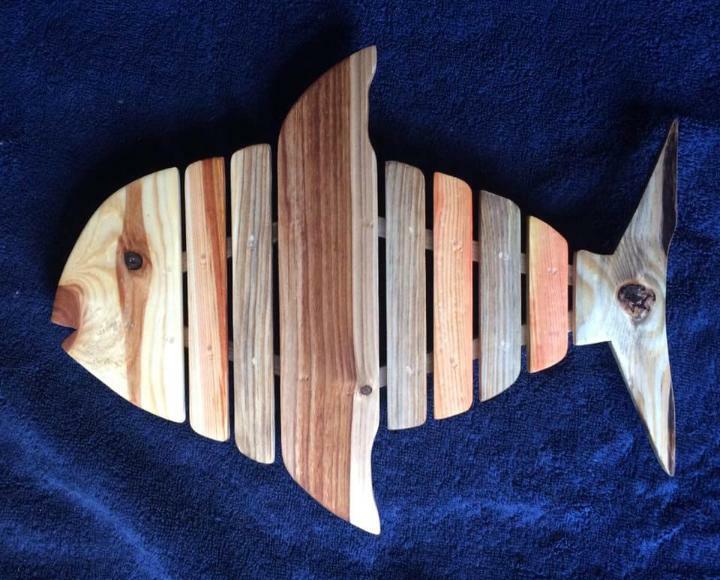 It can be simple straight wooden board to serve the purpose best but the fish shape design makes it an art piece also in your kitchen! From tail to face to entire body of the fish, has been designed by integrating exclusively modified slats of pallets! 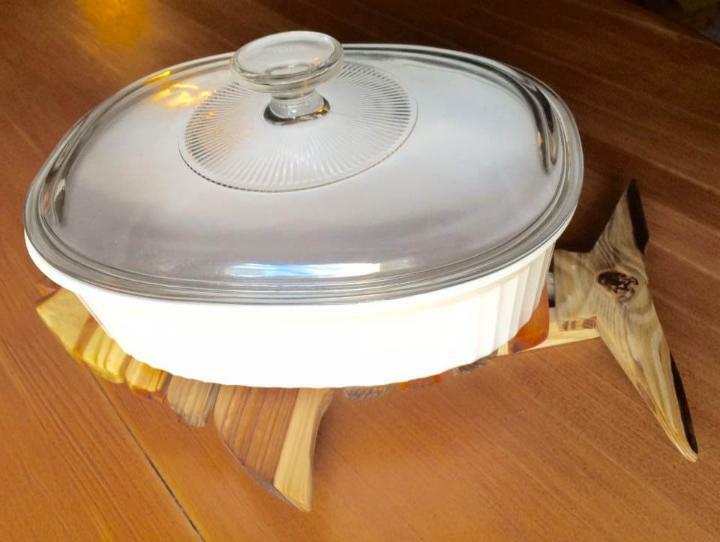 It can placed on the kitchen island surface just in sides of kitchen stove to receive the hot cooking pots after you just finish the cooking, would serve as a safe medium between the kitchen island surface and bottom of the pot to prevent any damage to kitchen island! Here it has only been finished with mineral oil just to enrich the natural wooden visual of it! Here slats of pallets got in custom set that build a whole body of the fish if put together in suitable manner as you can see, you can take help of carving router or sharp wood cutting tools to cut the wood easily for the required curves, necessary for the real look of fish! Here all the modified fish body parts have been put flat over a wooden rail, holding the entire body of this fish trivet tight! If not as a trivet, it can even be used as a great wall art pieces, you can mount it using custom hardware hanging systems to any wall area!